Even at a time when online marketing is more and more common, pocket folders are still considered one of the best marketing tools in the business world. They come in different styles and functional designs sure to give the best first impression for your business. Whether it’s for a sales presentation or even for welcoming new employees, it’s important that your pocket folders best represent your company’s brand. If you’re having a hard time designing your folders, then read on. 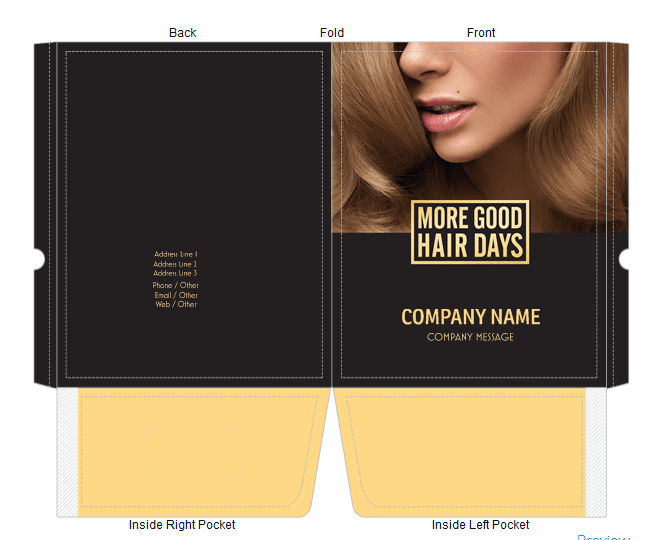 In this article, we have listed free and paid pocket folder templates that can work for different business types. These can all be customized for your own business needs. If you’d like a more custom design for your pocket folder, try hiring a professional at Fiverr for as little as $5. 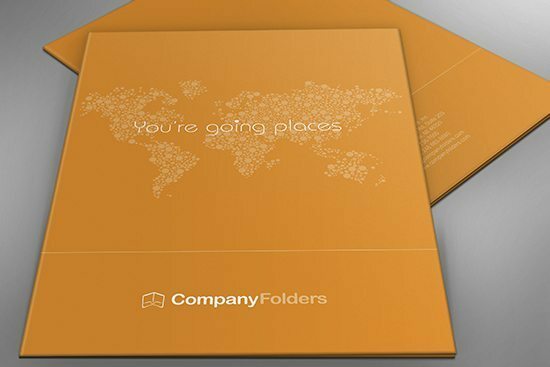 This travel agency folder is meant to stand out with its bright orange color and simple map design with a caption “you’re going places” that says it all. The folder itself is sturdy and able to hold your marketing materials and convince new clients to try your travel and tours services. 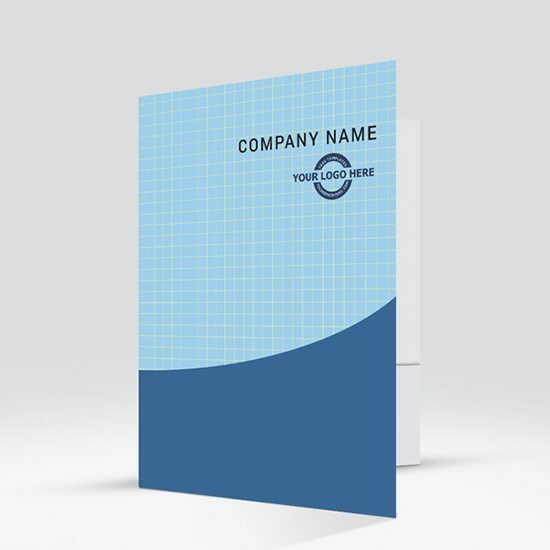 This presentation folder is both classic and versatile with its blue and white color scheme and a thick line across the top and bottom borders. This template is used mostly by financial businesses as well as commercial real estate companies for its professional look that lends a sense of credibility to the business. A dramatic approach that’s sure to impress the artistically inclined. 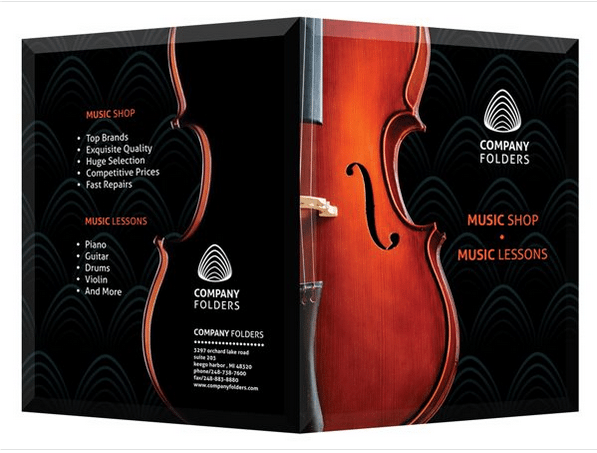 Use this pocket folder design for music schools and music shops and get instant recognition with a front and back view of a classical violin. Add text to describe your services or products, using white font that easily stands out against the dark background. Welcome new students with this presentation folder. The contemporary grid design and shades of blue seems to come together to give a feeling of organized thought that’s perfect for studying. 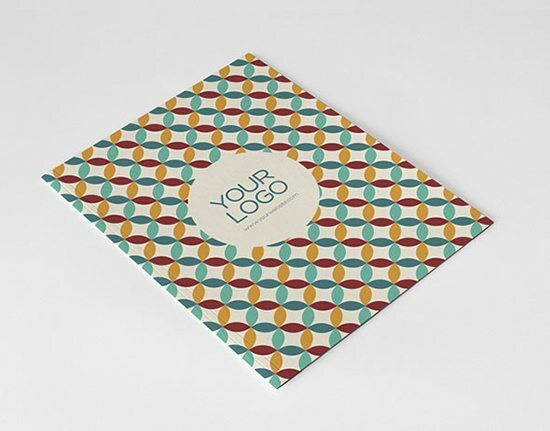 Add your logo on the cover to complete the look. 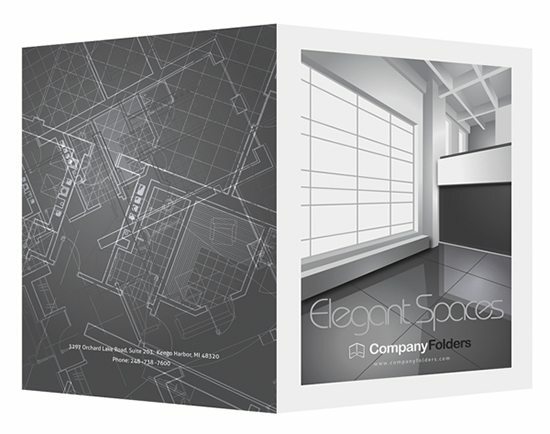 The fully rendered illustration of a modern interior makes this folder perfect for architectural and interior design businesses. 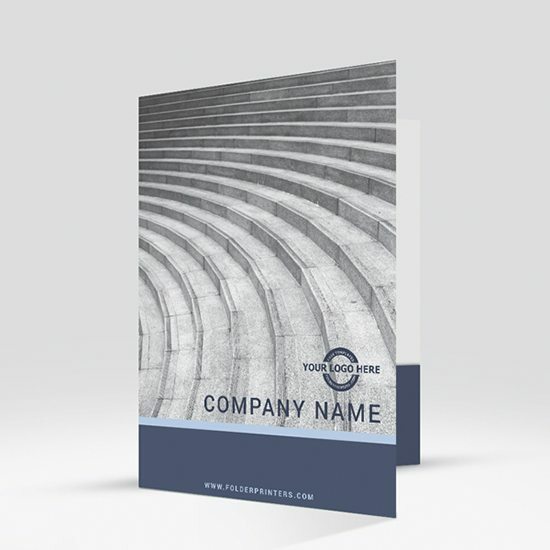 From the glossy silver finish, to the elegant lines of the blueprint images and even the modern font, this pocket folder was made to impress clients of design firms. 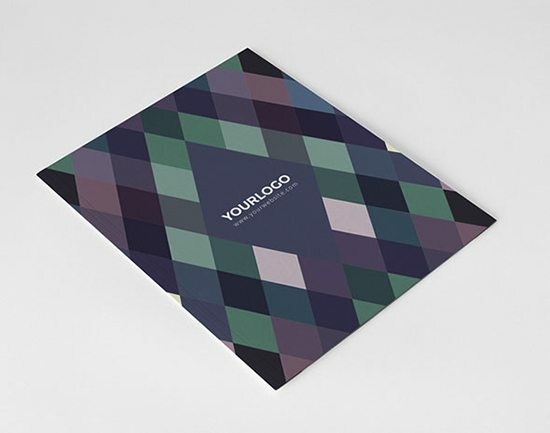 Make your photography business stand out with this artful presentation folder. The overall design has a vintage feel, with colorful but slightly subdued hues, and is contrasted by a camera app icon in the middle that speaks of modern, high quality photos. The overall artwork suggests fun and versatility that your clients will surely love. One image says it all. 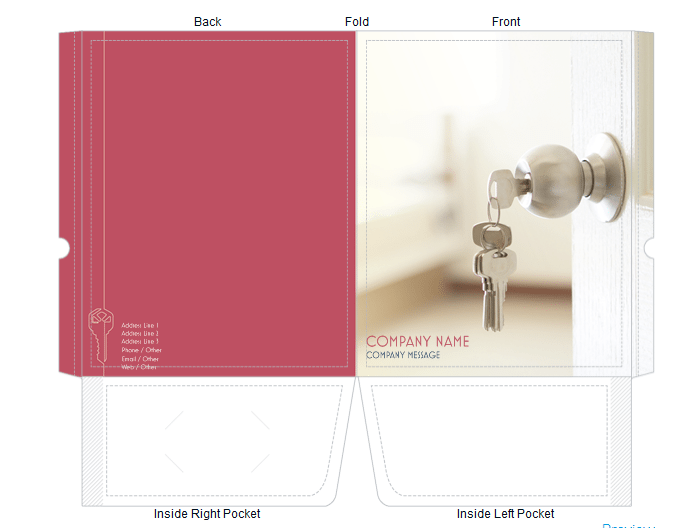 This pocket folder is perfect for real estate businesses and definitely sends the right message to the target market. 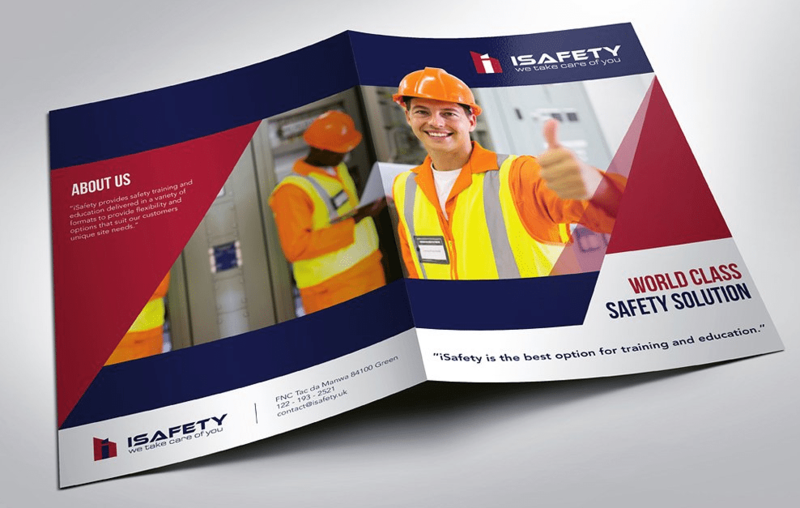 The design is clean and eye-catching, making it effective for visualizing the end goal for each client. Dramatic and intriguing, this presentation folder is meant to capture the attention of your clients beginning with the modern flap design. Add the dot-and-line vector pattern and a golfer silhouette, as well as a belly band that reveals a hidden design element underneath when it’s removed. This template is perfect for businesses that offer sports and leisure activities. 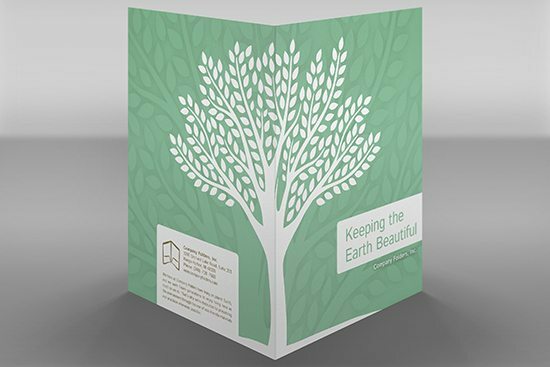 Environmentally friendly organizations will love using this template for its overall concept and message. The color, the image, and even the font are clean and cool to the eyes and sets the right tone for any organization that works to protect the environment. Perfect for enclosing your pamphlets and itineraries for conferences and other presentations. With a glossy wood finish, this pocket folder brings a rustic and laid back design that’s a nice break from the dark, classic restaurant menu look. The design can be adapted to any type of food related business like coffee shops, bakeshops, and even fresh produce market by replacing the image with your own. 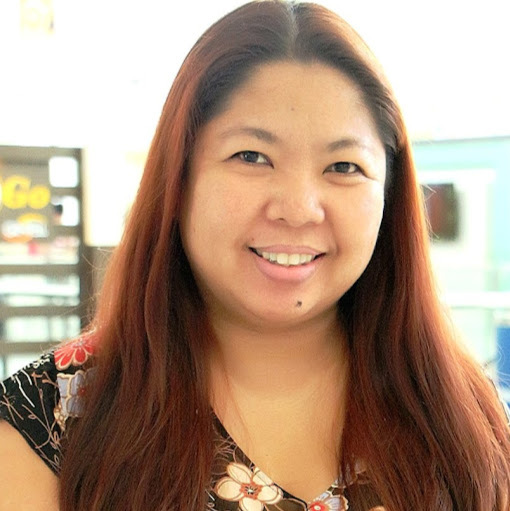 The color scheme is black with gold accents to make your photo stand out from the background. This pocket folder can transform from elegant to zen-like with just a change of the image. Perfect for salon or spa businesses looking to present to investors and clients alike. 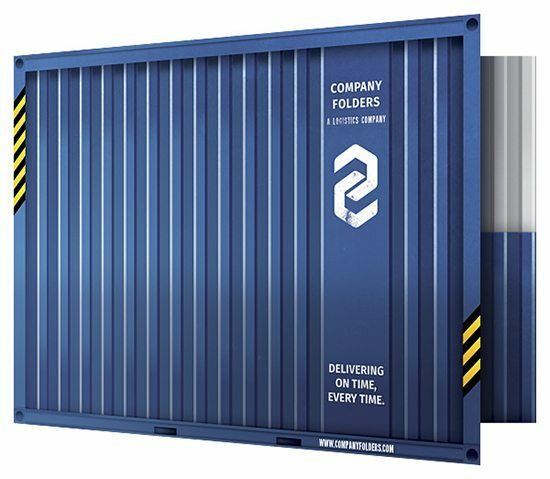 This uniquely designed presentation folder is a work of art for logistics or shipping related businesses. The style mimics the inside and outside of a corrugated metal shipping container. Add your logo and even a tag line to match your brand. 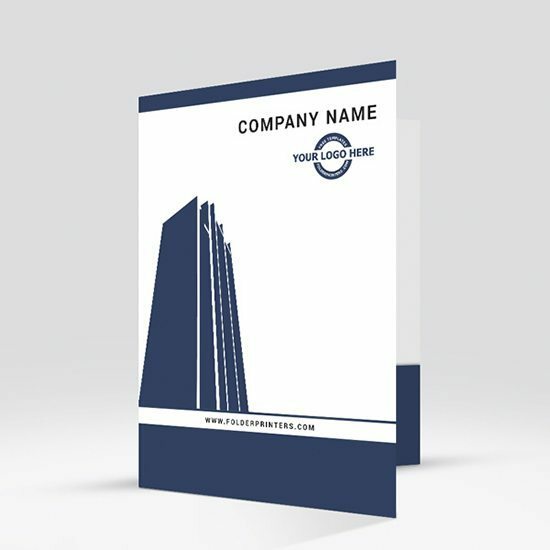 A simple business district landscape set against a clean, solid backdrop, this skyline silhouette design immediately sets a professional tone. The strong, bold color makes the font stand out and directs your client’s attention to your company name and logo. This design is versatile and can be used for all types of professional service related businesses. This theme uses the idea of rising steps to symbolize success and is a great option for businesses offering professional services such as financial institutions, law firms, accountants, and educational institutions. The deep blue color theme compliments the overall look and conveys a strong, reliable impression. When it comes to working with children, getting their attention is key, something that is well covered with this presentation folder. The bright red color is designed to stand out while the playful image bordering the front flap gives off a fun look. The overall theme for this folder works well for construction and realty companies. 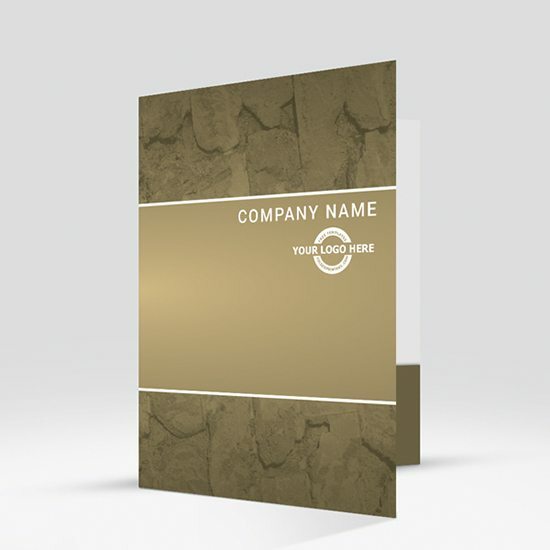 The stone wall image and earth tone is also great for firms that wants to give an impression of reliability and trust. The border, company logo, and font are printed in white, giving a hint of softness to balance out the design. 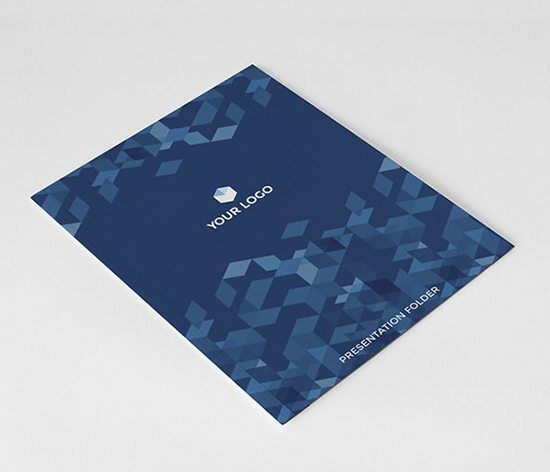 This blue and white abstract design makes any presentation folder both versatile and professional. Use it for educational institutions as well as businesses offering professional services. Price includes the template for matching business cards and letterheads. 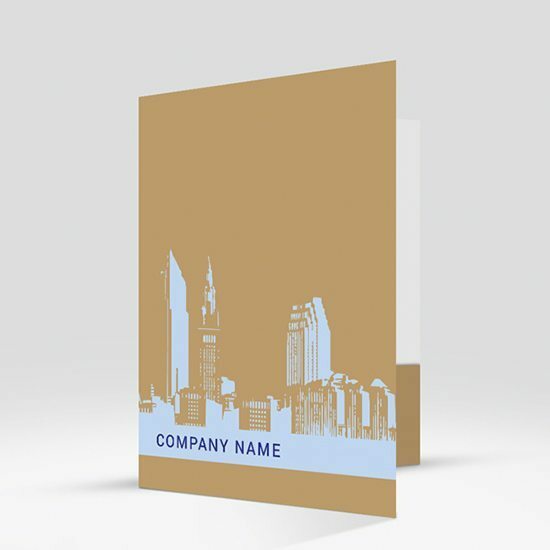 This corporate presentation folder is impressive and can work for all types of corporate firms, including marketing and advertising. he template comes in red, green, blue or yellow accent colors and an option to have a white or dark backside. Add your own high resolution graphic and change the accent color scheme to get an overall personalized look. 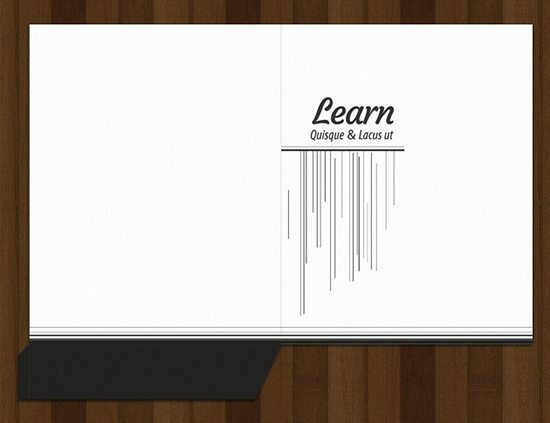 This pocket folder easily captures the feel of structure and learning, making it perfect for design school of all types. Use it to welcome new students or as a first impression for potential investors. The color can be adjusted to match your school’s theme. Building and construction don’t always have to look industrial or rigid. This pocket folder gives your presentation an inviting start with its bright energetic colors simulating an active working environment. 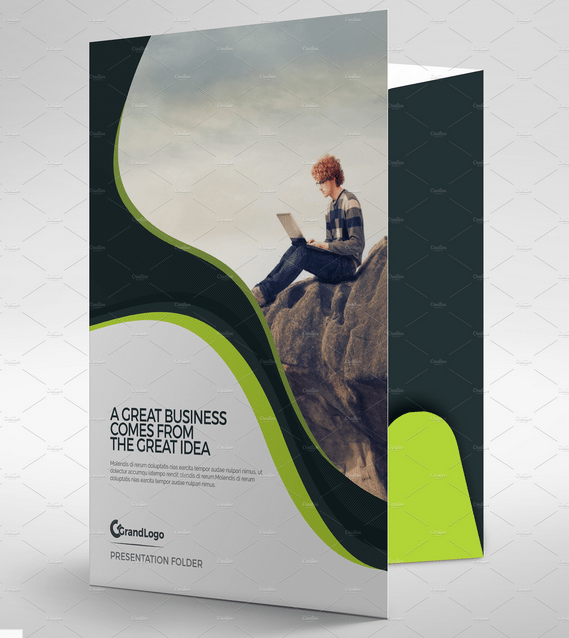 Depestt template features a modern, trendy design for presentation folders that can be used for any type of business. The dark theme works well with any company logo and can be adapted to accentuate and personalize the design. This template also comes with other folder templates in the bundle. 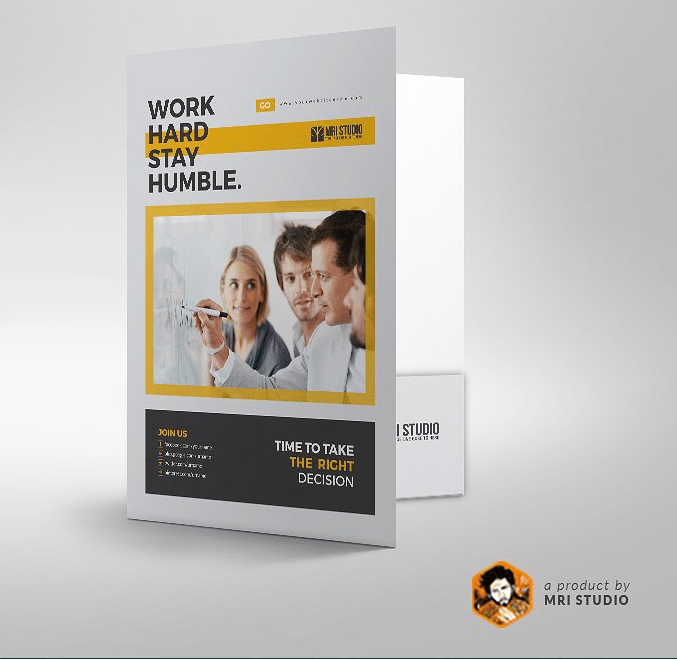 Another versatile design for your presentation folder needs, the diamond stationary pack also includes templates for business cards, envelopes, and letterhead. The contemporary design is perfect for any retail, educational, art, or design related business. 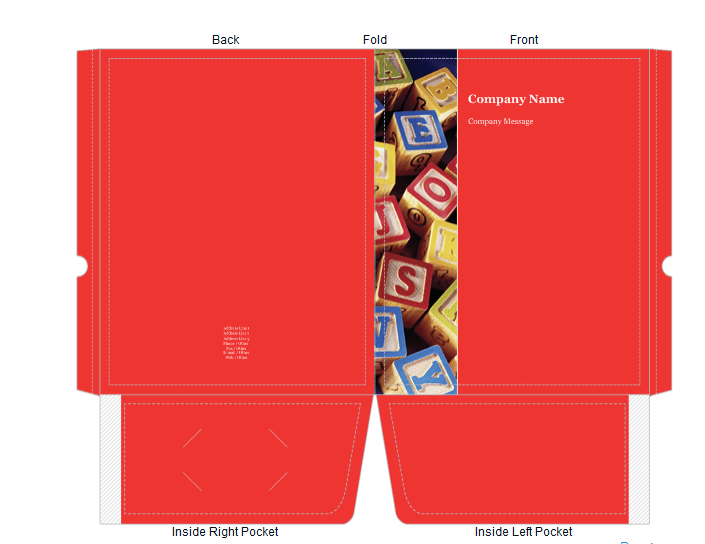 Adjust the color theme, and add your company name and logo to complete the design. Another presentation folder template that works for all types of design firms such as architecture, interior design, web, and even computer design. This folder gives off a feeling of structure and creativity, setting the right tone for a private meeting with clients or even trade shows. A presentation folder designed to inspire. This template uses colors and swirls that encourage flow of thought and concentration. It’s best used for adult educational institutions, and the accent colors can be adapted to match your school’s color scheme. 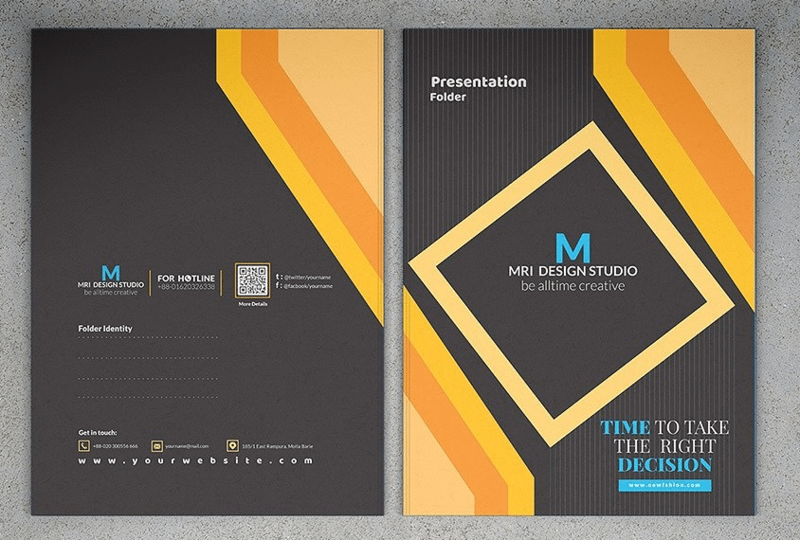 Use this presentation folder template for any business that works around art and design. The minimalist design gives it an impression of a clean slate and draws the viewer’s attention straight to the company name and logo. 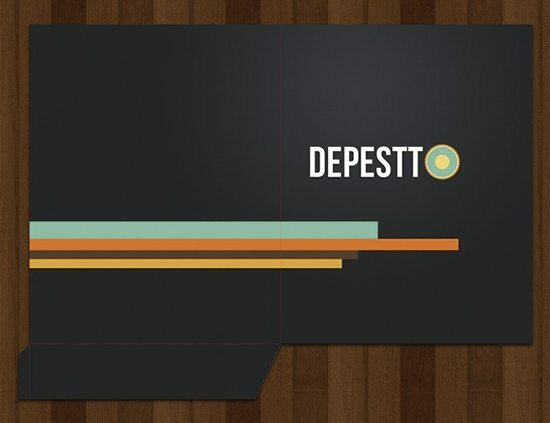 This template is bundled with other presentation folder templates. 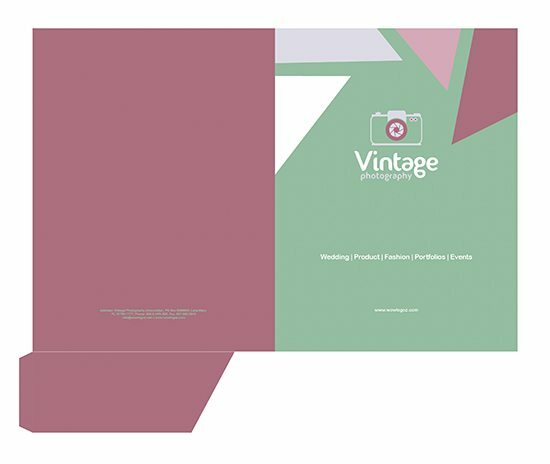 Add nostalgia to your presentation’s appeal with this retro themed pocket folder. The style and design lends itself to creative types of businesses including retail, gift shops, and flower shops. The centrally placed logo stands out, so it’s easy to catch anyone’s attention. 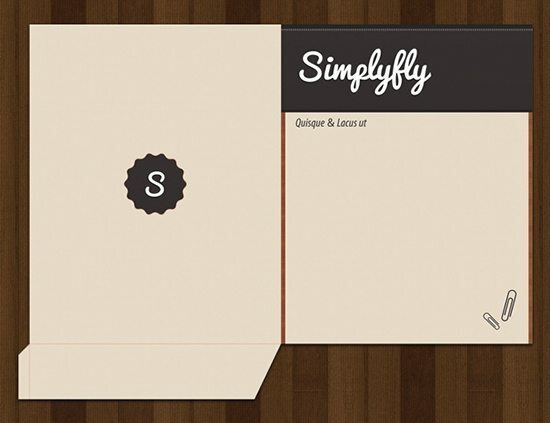 Another minimalistic template for pocket folders with the potential to let your brand stand out and get noticed. 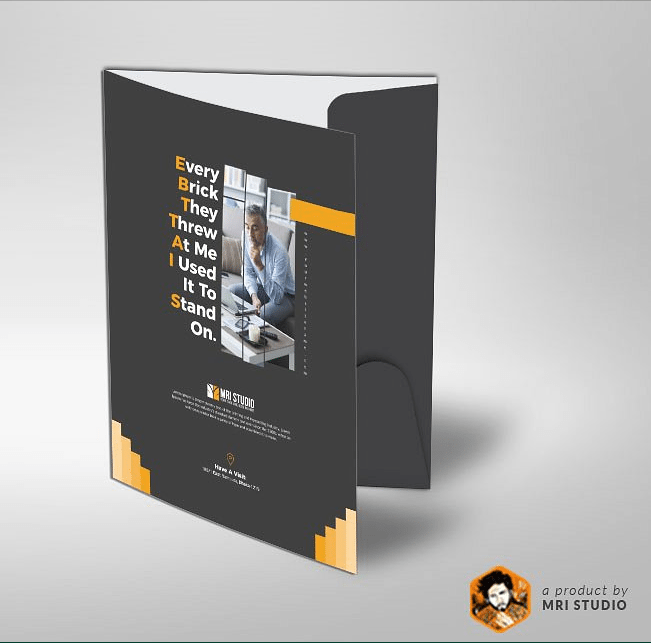 The inside of the folder is a canvas to host images of your products and provide your investors and clients a sneak peek on what your company can offer. Replace the placeholder with your company name and logo to complete a personalized look. 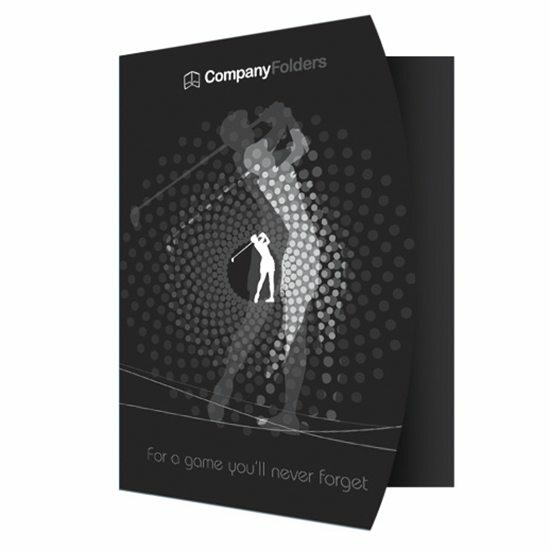 The right company pocket folder can get your business to stand out from its competitors. 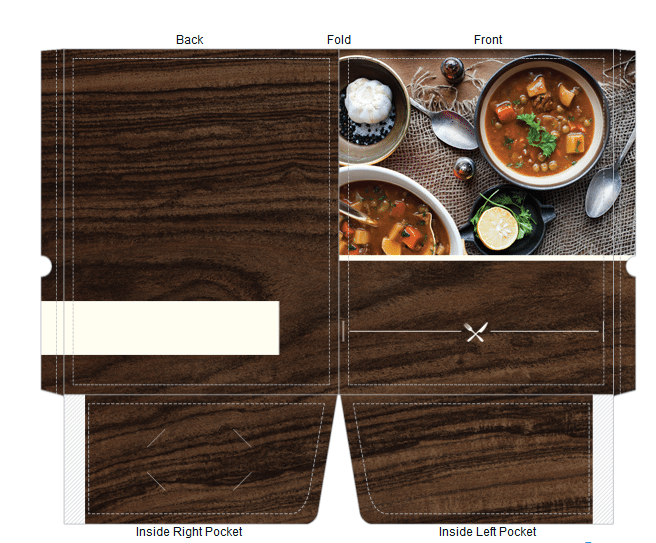 Use the design templates in this article to inspire your creativity and help you start a pocket folder design you can call your own. Have any pocket folder templates worth sharing? Let us know in the comments below.